From January 2016 the proposed generation payments for solar electricity are likely to drop dramatically. Depending on the result of a consultation by DECC (Department of Energy and Climate Change) the generation tariff for installations less than 4kWP are likely to drop to 1.63p per kWh. We are still waiting for the report on the recent consultation and it is possible that the government will backtrack on these proposals but if they go ahead what will that mean for a householder thinking of investing in a solar PV system in 2016? From January 2016 FIT (Feed In Tariff) payments are proposed by DECC to be 1.63p per kWh generated and 4.85p per kWh exported. These payments are for 20 years. Let’s assume that a household pays 13p per kWh for purchasing energy from the grid. At the moment the FIT scheme assumes that 50% of the generated electricity is used by the householder and 50% exported to the grid. Typical income/savings per year are shown in Table 1. This assumes that 850kWh is generated annually by the system for every 1kWP of solar PV array installed. 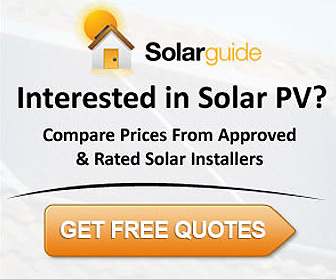 This figure will vary depending on where in the country you are, the direction and angle of the roof, how shaded the roof is and the efficiency of the solar PV panels. Part of the thinking behind reducing the solar PV generating tariff in 2016 was to put pressure on suppliers and installers to reduce costs. For the sake of argument let’s assume that pricing pressure can drop the installation cost by 20% in January 2016. There is no guarantee that this is achievable but without some significant move in installation price then the solar PV industry could be a dead or declining industry. First let’s look at the situation if installation costs remain the same in January 2016 as they are in September 2015. Table 2 – Payback on solar PV panels at current installation costs and April 2016 Feed In Tariff rates. The payback is over 20 years for a 2.5kWP solar PV array and over 18 years for a 4kWP array on current installation costs. On this basis solar PV panels will not be a worthwhile investment, especially as the above projections assume no maintenance costs. Solar panel guarantees can be 20 years but for other items such as inverters they are in the range 10 to 12 years. Replacement of a string inverter after 10 years could cost circa £1,000 at current prices and wipe out all returns over a 20 year period. Applying the same income/savings but assuming that industry cost pressure drives a 20% reduction in total installed cost (including labour) gives the results in Table 3. Table 3 – payback on solar pv panels at 20% reduction in installation costs and April 2016 Feed In Tariff rates. With a 20% reduction in installation cost the payback of over 14 years for a 4kWP system is still not attractive, given the likely replacement of a string inverter costing circa £1,000 after 10 years. Without the inverter spend the annual rate of return on the investment is around 1.6%. If the FIT generation tariff is cut as proposed by DECC in January 2016 then even with a drastic fall in installation costs it is unlikely that solar PV panels will be an attractive investment for a home-owner. We would expect to see significant job losses amongst the solar installation industry as a result. However there is still time for the government to change its mind on implementing the drastic cut it plans, so watch this space. Update 17 December: See DECC Sets Feed In Tariff Rate: 4.39p Per kWh From 8 February 2016.